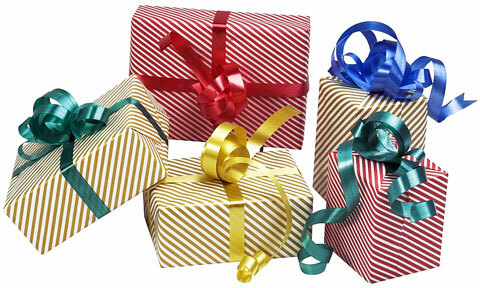 Five gift boxes, in various colors of striped paper, are scattered on a white background. The boxes, which are of various shapes and sizes, are adorned with ribbons of different colors. Whether you are receiving one or giving one, a gift-wrapped box brings much joy.